The escalation of large-scale natural disasters in recent years such as the devastation earthquake and tsunami event in Japan and Indonesia in March 2011 and December 2004, respectively, the extreme floods in India, Germany and Switzerland in July and August 2005, the extensive bushfires due to severe droughts in Portugal and Spain in the same period, and Hurricane Katrina, which devastated the south-east coast of United States in August 2005 have caused fatalities, disruptions of livelihood, and enormous economic loss. These events show dramatically how the ongoing global environmental change and also inadequate coastal defense, lack of early warning and unsustainable practices, and even neglect can affect people all over the world. Table 1.1 describes the natural disaster occurrences and impacts by region. Japan and Indonesia are no exception, where both countries are geographically located on the Ring of Fire which causes these two countries vulnerable to disasters. Japan lies at the confluence of four plates, which are the Eurasian plate and North American plate in the north, the Pacific plate in the east and Philippines sea micro plate in the south. On the other hand, Indonesia lies at the confluence of three plates, namely Indo-Australia plate in the south, Euro-Asia plate in the north, and Pacific plate in the east. Subduction between these plates, such as the Pacific plate and the Eurasian plate in Japan and the Indo-Australian and Euro-Asian plate in Indonesia, causing earthquakes and series lines of active volcanoes along the islands of Japan and Indonesia. This led to Japan and Indonesia prone to natural disasters such as earthquakes, volcanoes, and tsunamis. 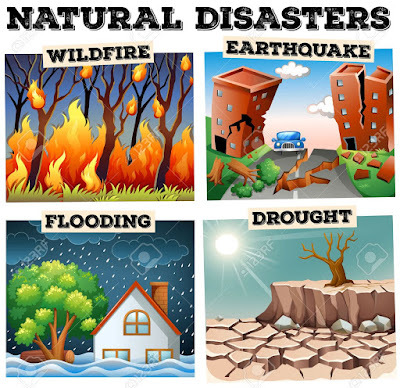 These kind of natural disasters caused numbers of casualties and/or severe property damages. As it has been a common awareness that, nowadays, disasters seem to be prominent at all corners of the globe. No country nor community could claim themselves completely protected from the risk of disasters. Thus, the importance of disaster management is undeniable, since a large amount of human losses and unnecessary demolition of infrastructure can be avoided with very responsive Disaster Management Action. The Georgia Tech Health & Humanitarian Logistics Center (HHL) divides the disaster timeline into three phases, namely Pre-disaster, Disaster, and Post-disaster. depicts the disaster timeline along with the activities or actions taken in the disaster management. Mitigation is the application of measures that will either prevent the onset of a disaster or reduce the impacts should one occur; it aims to minimize the effects of disasters. Preparedness activities prepare the community to respond when a disaster occurs. Response is the employment of resources and emergency procedures as guided by plans to preserve life, property, the environment, and the social, economic, and political structure of the community; it aims to minimize the hazards created by a disaster. Finally, Recovery involves the actions taken in the long term after the immediate impact of the disaster has passed to stabilize the community (Rehabilitation) and to restore some semblance of normalcy (Reconstruction). Natural hazards events cannot be prevented from occurring, but their impacts on people and property can be reduced if advance action is taken to mitigate risks and minimize vulnerability to natural disasters. This implies the need for effective methods or techniques to minimize casualties and costs incurred due to disasters. Therefore, based on three phases of disaster management, the research will attempt to make a contribution to each phase of the activity. First of all, for the mitigation and preparedness phases which carried on in the pre-disaster, we sought to investigate the past trend of natural disasters, focusing upon earthquakes and tsunamis that occurred in Japan and Indonesia. We also investigate major factors to affect human casualties of natural disasters by using the same data of earthquakes and tsunamis that occurred in Japan and Indonesia. In both of the studies at this first phase, we apply mathematical policy analysis techniques in our natural disaster risk analysis and assessment in order to develop policies to mitigate the casualties caused by natural disasters. Then, we also investigate the damaging impacts of the 2011 Great East Japan Earthquake (GEJE) as well as evaluating the restoration and reconstruction performance, especially on the agricultural and manufacturing sectors.